From large-scale inner city regeneration to urban extensions and the creation of new communities, masterplanning is one of the most effective ways of communicating a vision. It can address aspects relating to the growth, development and transformation of a particular area. 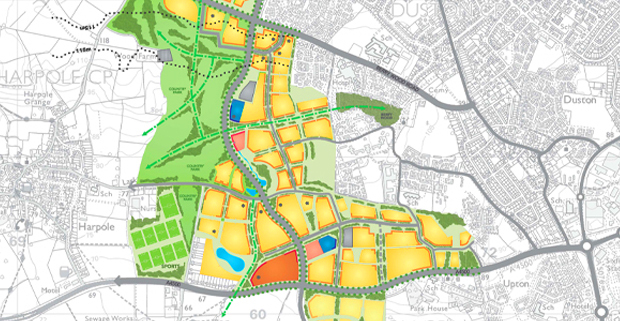 Masterplans are produced at all scales of development and often set out ambitious plans for the redevelopment of an area over a long period of time. It may encompass a complex and cohesive process, where planning for change in the physical, social and economic fabric of places requires the input and efforts of many professionals and local communities. The final content of a masterplan will be tailored to its context and unique set of requirements. It should focus on the infrastructure, strategies and policies that are key to delivering growth, unlocking development and attracting investment. A successful masterplan therefore needs to be: visionary, deliverable, flexible, inclusive and adaptable. Communicating a masterplan for your area in order to help attract developers, investors and businesses is not always straightforward. Illustrating the vision in the ‘right way’ to the ‘right audience’ is vital to the success of the delivery of any masterplan. Clearly demonstrating the opportunities for development, growth and investment are also necessary.